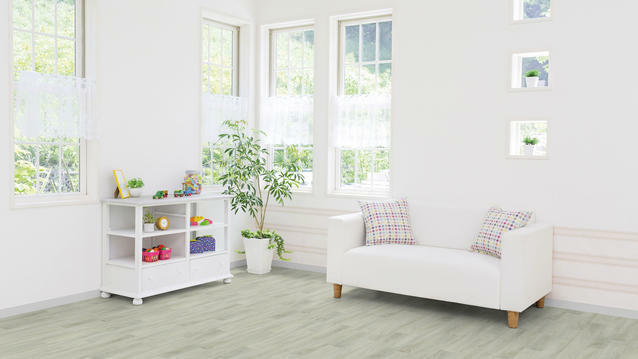 Available in a selection of elegant wood and sandstone designs, the Essentials 400 vinyl collection is one of our thickest, most comfortable home flooring solutions. An ideal choice for bedrooms, its 4.0mm thickness offers a best-in-class sound reduction of 21dB to help create a cozy home environment. With our Supreme Protection surface treatment your floor is easy to keep clean and beautiful.